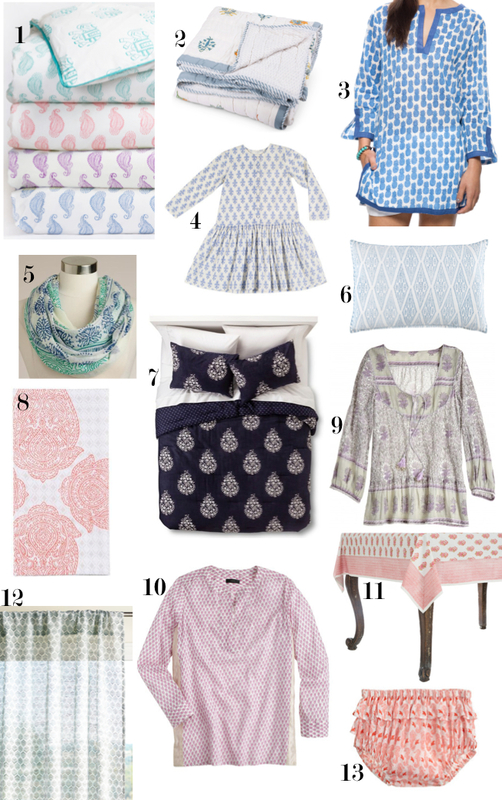 There is something about a good hand block print right now. 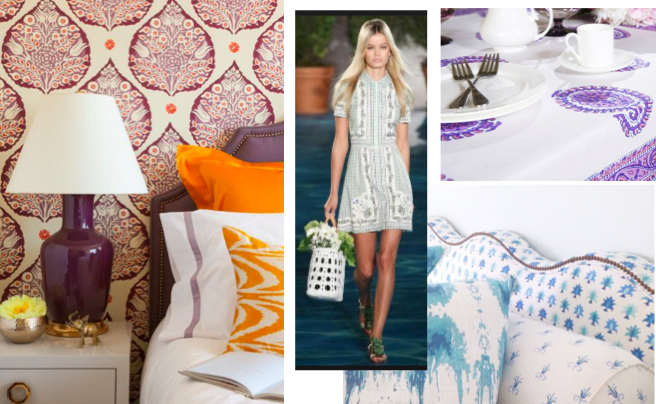 A little bohemian, a little beachy, a little preppy. All great things to be. It is one of those prints that works just as well with clothes as it does in your home. 1. Pretty duvets with in lots of colors from Rikshaw Designs.